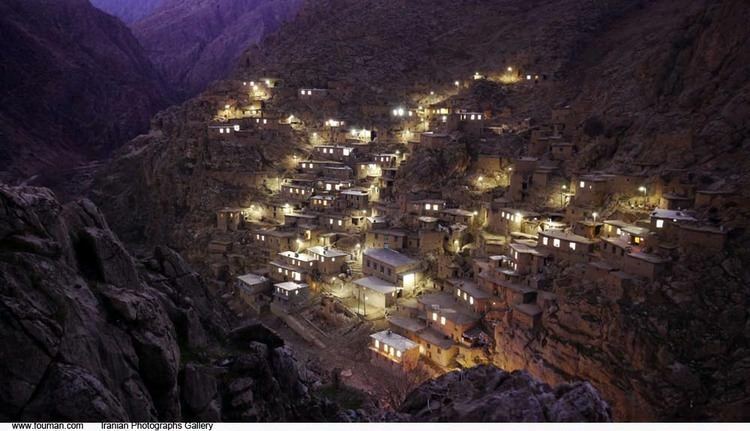 Kurdistan Province Persian: استان کردستان‎‎) is one of the 31 provinces of Iran, not to be confused with the greater unofficial geographical area of Iranian Kurdistan. 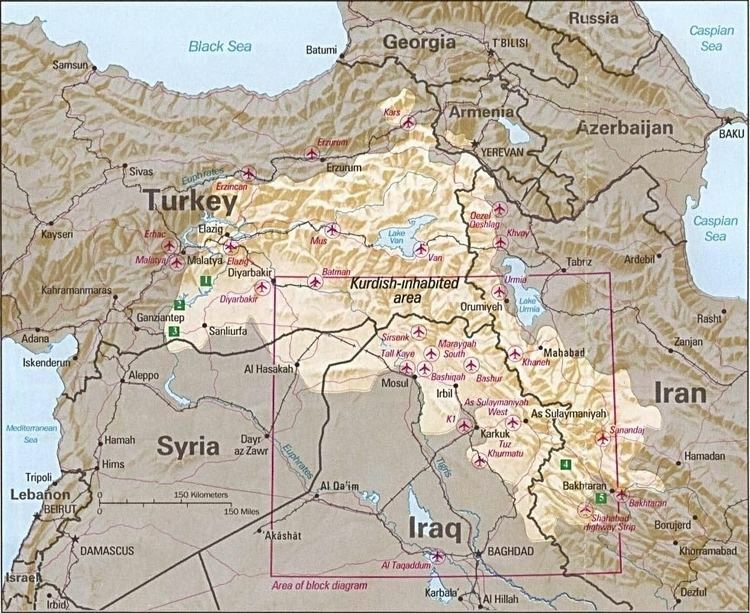 The province of Kurdistan is 28,817 km² in area which encompasses just one-fourth of the Kurdish inhabited areas of Iran or Iranian Kurdistan. It is located in the west of Iran, in Region 3, and bound by Iraq on the west, the province of West Azerbaijan to its north, Zanjan to the northeast, Hamedan to the east and Kermanshah to the south. The capital of Kurdistan Province is the city of Sanandaj (Kurdish: Sinne‎). Other counties with their major cities are Marivan, Baneh, Saqqez, Qorveh, Piranshahr, Bijar, Kamyaran, Dehgolan, Diwandarreh and Sarvabad. 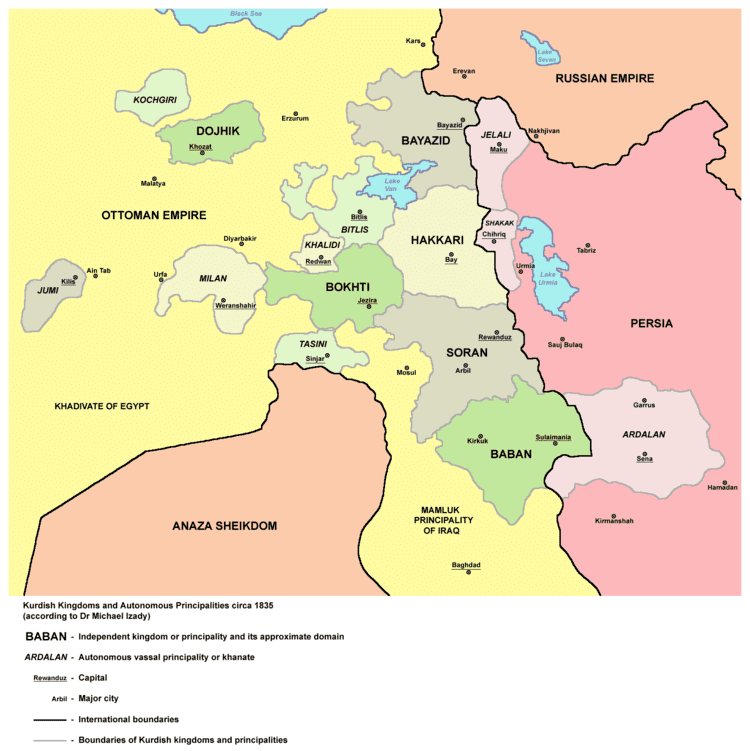 The Kurdish language is categorized under the Indo-European group of languages, with a distinctive grammatical form. This language has various branches in Iran, such as the Sorani, Hewrami, Feyli, Kalhuri and Kurmanji. Majority of the people in Kurdistan province speak variants of Sorani Kurdish, sometimes called as "Ardalani" dialect. 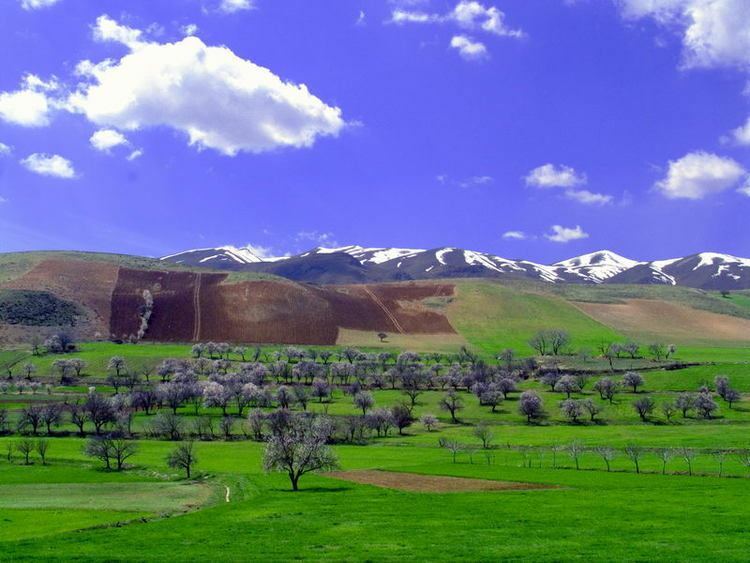 Hewrami Kurdish is also spoken around Marivan, in a region called "Hewramanî Text"(The Flat Hawraman). In eastern parts of the province including Bijar and Qorveh, the majority are Shiite Kurds. There also exists an Azeri minority in the villages around Qorveh. The major activities of the inhabitants are agriculture and modern livestock farming. Wheat, barley, grains and fruits are the major agricultural products. The chemical, metal, textile, leather and food industries are the main industrial activities in this province.